It was exactly four years ago today, on 9 September 2005, that Ludwig Oechslin and I had the pleasure of presenting the MIH watch with its amazing 9-component annual calendar and single-line display to an audience of 250 guests at the Musée International d’Horlogerie. Each of the 700 or so MIH watches sold has contributed CHF 700 towards the restoration of the Vachey monumental clock, which went on display at the museum a few weeks ago. The superbly thought-through concept of the MIH watch actually forms one of the cornerstones of ochs und junior. We learned a lot from the MIH watch; many of the ideas it incorporates have either been taken a stage further or have been adopted. Take our manufacturing collaboration with Paul Gerber, for example. Or the one-of-a-kind packaging concept with its blend of common sense and surprise. And as with the MIH watch, ochs und junior offers no dealer margin and has no advertising budget – the MIH and our ochs und junior watches are sold direct to the customer. Moreover the dials of both are free from logos or performance claims. The only exception to the rule is the playful “MIH” designer Christian Gafner inserted in place of the 9 o’clock index to signify the nine components making up Ludwig’s annual calendar mechanism (though nothing is visible on the dial, our ochs und junior watches sport the company logo branded on the reverse of the ecologically tanned leather strap). 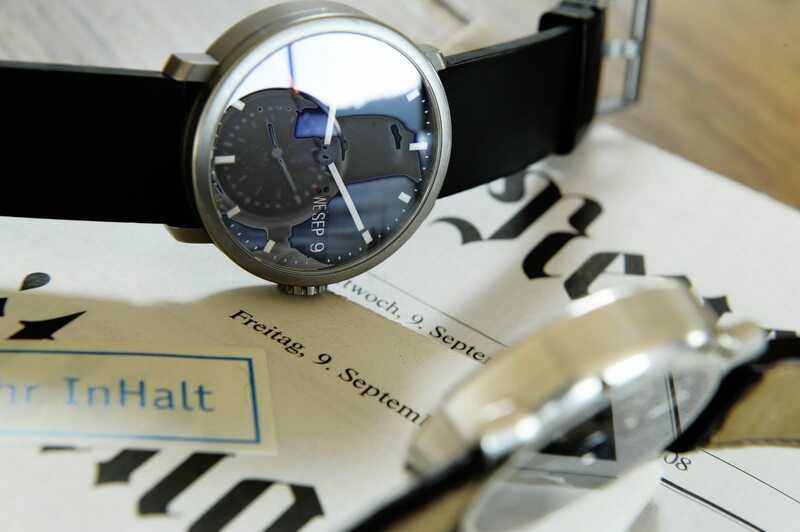 Watch and jewellery specialist Embassy (Lucerne and St. Moritz) is involved as the contractor and producer of the MIH watch, and as the business partner of Ludwig Oechslin for his ochs und junior venture. Underpinning all of this is Ludwig’s experience and unique take on watchmaking. Our thanks to you all – MIH owners, MIH makers and MIH friends – for the first four years, and for all those that will follow. The MIH could well already have become a classic! Contact: [email protected] (the MIH watch can be purchased directly).